IATR’s 2nd Annual Regulatory Boot Camp Graduation Ceremony, for completing the basic transportation regulatory training in the areas of transportation regulation history, licensing, enforcement, management, rulemaking, legislative and procurement processes. 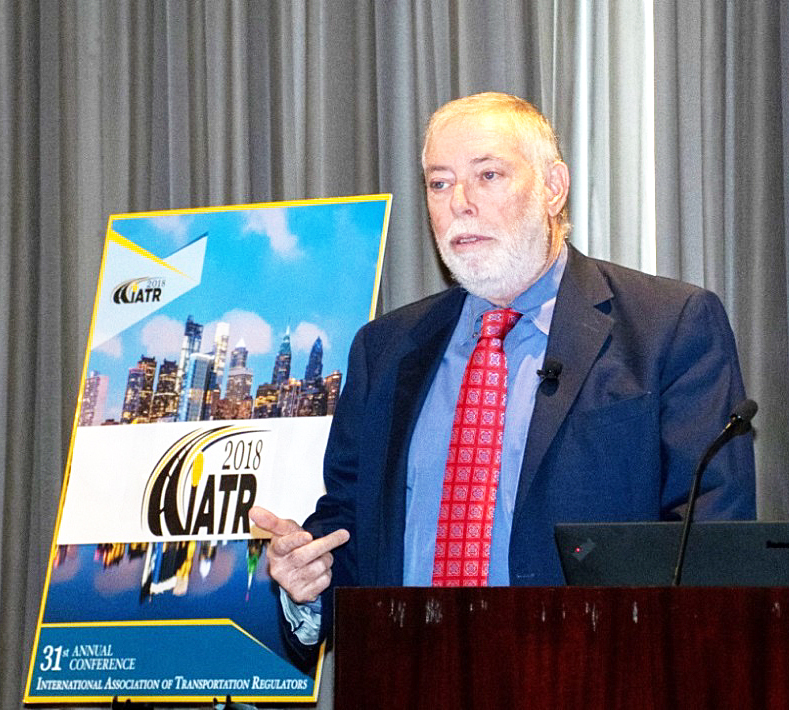 The 31th Anniversary Conference of the International Association of Transportation Regulators (IATR) in Philadelphia was one for the books. With a good mix of Rocky references and new perspectives, I can assure you that the theme of “Regulatory Freedom” rang loud and clear throughout the conference. The Philadelphia Conference acted as “Constitutional Convention,” where we revisited what we do, why we do it and how we can do it better – working together under a new paradigm and charting a new course for our future. IATR President, Matthew W Daus, Esq., delivering the State of the IATR Speech. New Members, Partnerships, Committees, Issues & Projects! 2018 was the first time an IATR conference was named after a song, performed by Sir Elton John about his friend Billie Jean King & the “World Team Tennis” team known as the “Philadelphia Freedoms.” Our conference was held only days after the U.S. Open wrapped up and fell just around the time of the 35th year anniversary of King and Bobby Riggs’ “Battle of the Sexes.” This theme had an extra-special meaning given the growing number of female regulators in the IATR’s ranks over the last several years, and the great work they are doing for the public. For the IATR, “Regulatory Freedom” means many things, including: freedom from the past – in terms of incumbent ideas and old ways of regulating; ensuring the freedom of mobility through wheelchair accessibility; ensuring freedom of choice for consumers by promoting competition; ensuring safety and equitable access to services; and freedom from political or undue influences – or regulatory independence. At its 31st Annual Conference, and throughout the year, IATR promotes regulatory freedom from old ideas through its new advisory board and multi-modal integration partnerships, as well as its very active Technology & Innovation Committee work. The IATR also promotes accessibility & equity through its data challenges and hack-a-thons, its accessible transportation committee work, including model regulations for accessible reform. Finally, the best way to guard against political influences is through the gathering and use of data and facts to establish best regulatory practices, and make sound policy to protect the public trust. There are many new initiatives underway to secure a future of regulatory freedom, including new committees and membership benefits for IATR members. The IATR, following the lead of its successful Canadian Regulators Committee, will be creating an “Australian Regulators” Committee, and other geographical groups will be created based upon need and interest. 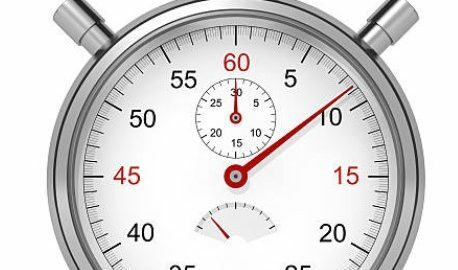 Also, the IATR’s new Transportation Network Company (TNC) Regulators’ Committee, which comprises an entire group of new regulators, will be joined by a new “Safety” Committee as well. These “regulator only” committees share best practices and information in order to help each jurisdiction do a better job, and this year featured speakers and more formal presentations will be provided so that IATR educational efforts can continue year-round. For some committee calls, and as part of every conference moving forward, the IATR now offers professional service credits for many of its sessions (especially the Boot Camp sessions). This includes continuing legal education credits in all 50 US States, as well as urban planning and engineering credits. The IATR has also decided to continue doing one or more hack-a-thons every year and to grow its Data Commons repository of multi-modal transportation trip data (housed at UC Berkeley). The IATR Data Commons will continue to be used by students, start-ups and academics competing in hack-a-thons or data challenges, and as information to help fellow regulators – whether to prepare legislative testimony, issue internal or external studies or reports, or to conduct benchmarking. The American Public Transportation Association (APTA): https://www.apta.com/Pages/default.aspx. 31st Annual Philadelphia Conference Re-Cap: Ringing the Regulatory Liberty Bell! The conference was kicked-off by Jim Ney, our IATR Board Chair and Conference Host, who introduced Scott Petri, Executive Director of the Philadelphia Parking Authority. Director Petri provided opening Keynote remarks to introduce the conference – and mentioned how Philadelphia and many other jurisdictions are keeping a close watch on the recent activity in NYC to mandate congestion pricing on for-hire vehicles, and a cap on TNCs. Liane Randolph, Commissioner of the California Public Utilities Commission, spoke at the Lunch Keynote on origins, current status and impending changes to California TNC laws and the impact of this new paradigm around the country. 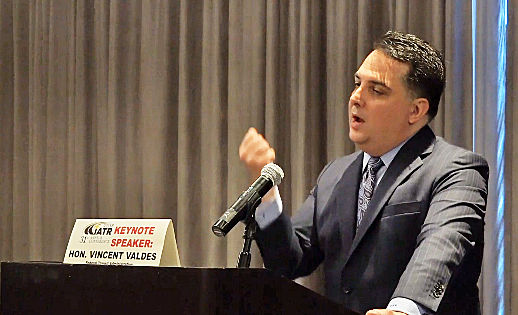 Vincent Valdes, Associate Administrator for the Federal Transit Administration (FTA), U.S. Department of Transportation (U.S. DOT) discussed the U.S. DOT’s Mobility-on-Demand (MOB) Sandbox Program, which awarded grants to several jurisdictions and cities for their own innovative solutions to transportation issues, as well as plans for FTA Sandbox 2.0. Finally, “Gridlock Sam” Schwartz, the Former Chief Engineer at The New York City Department of Transportation who coined the term “gridlock,” and who was the architect of MOVE NY’s toll equity plan, delivered Monday’s keynote speech. 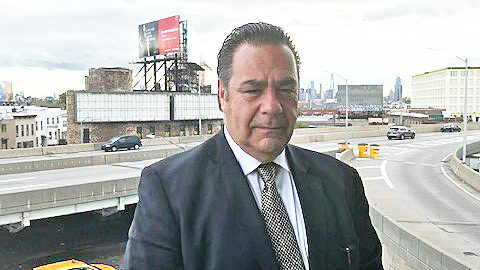 He discussed the history and ongoing debate involving congestion pricing in New York City – including the passage of a new law in NY that will mandate all for-hire vehicles and taxicabs entering Manhattan’s central business district pay a congestion charge to fund the Metropolitan Transportation Authority as of January 1, 2019. Transportation Network Company (TNC) Regulation 101:This session covered the history of laws and litigation surrounding the new regulatory paradigm governing Transportation Network Companies (TNCs), including an in-depth analysis of similarities and differences in United States TNC licensing laws, as well as international comparisons and related TNC models. The Evolution of Accessible Transportation Laws, Regulations & Policy:This session provided an overview of the laws, regulations and policies associated with the passage of the Americans with Disabilities Act (ADA), similar laws in Canada as well as other international jurisdictions. New approaches to solving wheelchair accessible service challenges for TNCs, taxicabs and for-hire vehicles were discussed, as well as pending and resolved litigation that have impacted this arena. Transportation Data Privacy & Access Law Primer:For this session, an overview of the evolving laws and regulations impacting transportation data and privacy, including access to data (TNCs, taxis, paratransit, and airports) by the public government, academia and competing private company interests were provided. 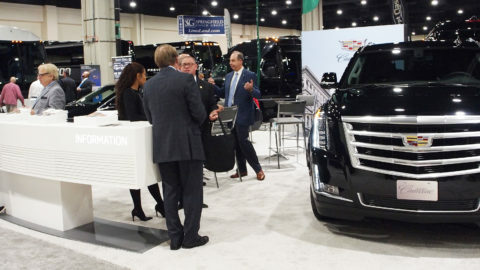 Regulatory Implications of Shared Autonomous & Connected Vehicles:Lastly, this session gave an overview of the concepts of shared mobility, autonomous and connected vehicles, including definitions, terms and relevant studies. Attendees learned the basics of applicable technology, terms of art, and new mobility services. The IATR is pleased to announce that ALL of the above Boot Camp sessions will be available to members in good standing in video format for government lawyers, engineers and planners to obtain professional continuing education credit by watching the videos (in states where applicable), even if they did NOT attend the conference. For further information, please inquire at info@iatrglobal.comor kramkishun@iatr.global. This day continued with four plenary sessions revolving around how cities and countries around the world can dedicate resources to multi-modal integration, collaboration and coordination, with an emphasis on “Smart Cities,” the use of transportation data for policymaking and service delivery, and how technology can be used to leverage seamless connections between public and private transport modes, as well as encouraging first and last-mile solutions and shared rides. Moderated by the Shared Use Mobility Center, with panelists from the Transportation Sustainability Research Center at UC Berkeley, the American Public Transit Association (APTA), The International Public Transit Association (UITP), and the Chicago Business Affairs and Consumer Protection Department, this session introduced the concept of multi-modal integration and programs being undertaken and developed to integrate multiple modes and services into uniform apps and platforms, and the regulation of alternative forms of mobility. This panel focused on how automated and connected vehicles will impact for-hire regulation and policy, in both near term (SAE level 3 automation with drivers) and in the long-term (SAE levels 4-5 sans drivers). Panelists included representatives from IATR, Zurich North America, Princeton University and WOMANIUM. 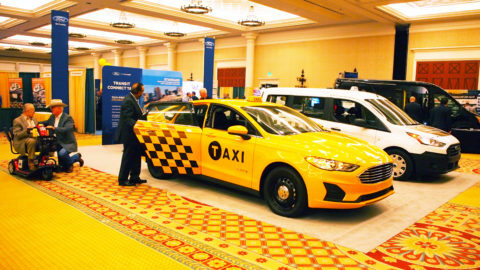 In this session, regulators showcased their unique work involving data mining, and how taxi, TNC and other transportation data is analyzed to shape policy and regulatory management, with real life data analytics and policy exercises. The session was led by the District of Columbia Department of For-Hire Vehicles and included technology panelists from Infinite Peripherals and Open Transport Partnership Shared Streets – with DC being a case study in the use of transport data for innovative solutions. This panel introduced regulators to the world of regional transportation planning, providing an overview of the history and role of Metropolitan Planning Organizations, and the opportunities for collaboration with transportation regulators. It was moderated by a representative of the UTRC Region 2, with panelists from North Jersey Transportation Planning Organization, South Jersey Transportation Planning Organization, the Chicago Transit Authority, and Philadelphia’s Office of Transportation and Infrastructure Systems. 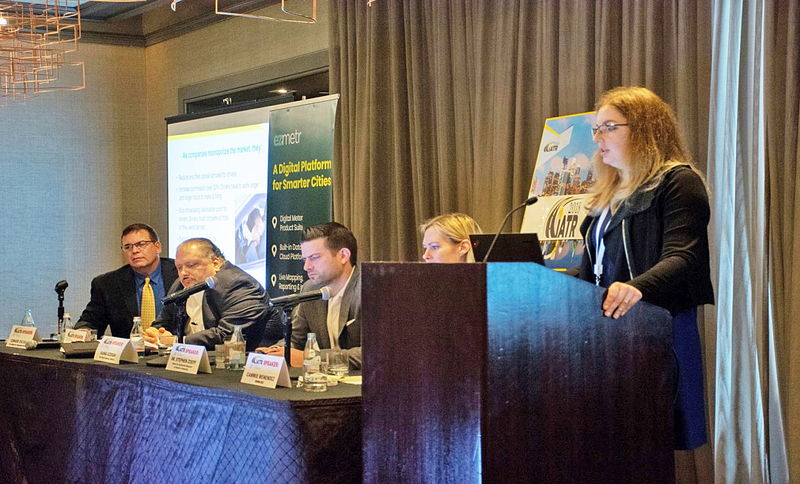 This panel showcased several public transit agencies that have integrated taxicabs, for-hire vehicles and/or TNCs as part of public paratransit programs, leveraging on-demand smartphone applications and other service for people with disabilities. Panelists included representatives from the Massachusetts Bay Transportation Authority, the District of Columbia Department of For-Hire Vehicles, UTRC Region 2, Washington Metro Area Transit Authority, DARTS Transit (Ontario), Adapted Transport Center (Montreal), and the New York Metropolitan Transportation Authority. The final session of day two was dedicated to new regulators; panelists from the Philadelphia Parking Authority, the City of Calgary, San Diego Metropolitan Transit System and Los Angeles DOT traded new and innovative ideas about regulatory issues including: accessibility data platforms, licensing, enforcement and alternative fueled vehicles. The session explored best practices and trends in regulation, or the lack of regulation or business models, that may have created these problems, and what, if any, regulatory policy or other solutions might alleviate or address working conditions. 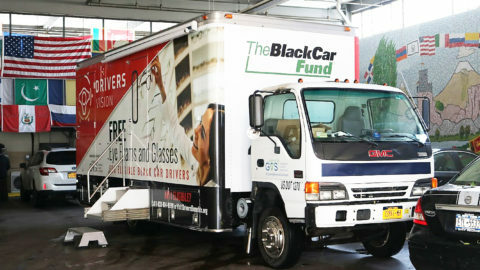 The panel was moderated by a representative of the National Institute for Occupational Safety and Health, and included individuals from the Center for Automotive Research at Stanford University, InDriver, the New York Black Car Fund, and the Alliance for Independent Workers. In the final conference session, a review of various international jurisdictions was discussed from the viewpoint of both the regulator and the private sector, and an in depth-review of both accepted (prevailing) and best practices was debated. 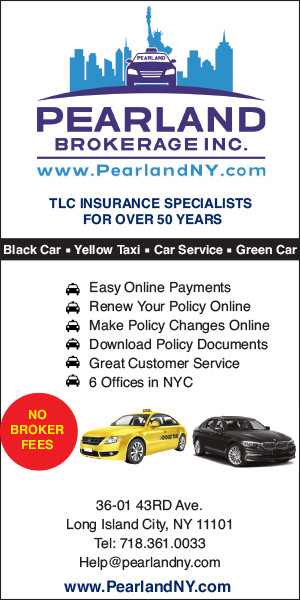 Presenters were from the Bureau du Taxi de Montreal, and Cars Taxi Group LLC. 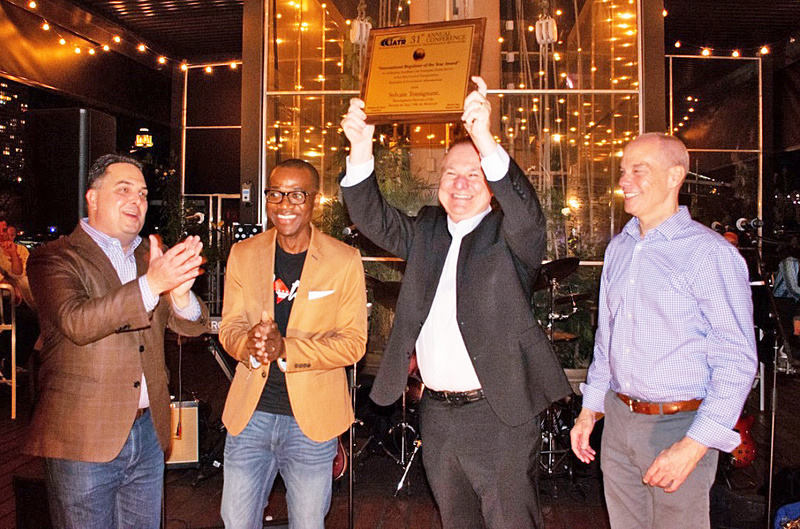 Three awards were distributed at this year’s conference: IATR’s Driver of the Year, IATR’s Regulator of the Year, and the 2018 Accessible Data Challenge Winner. 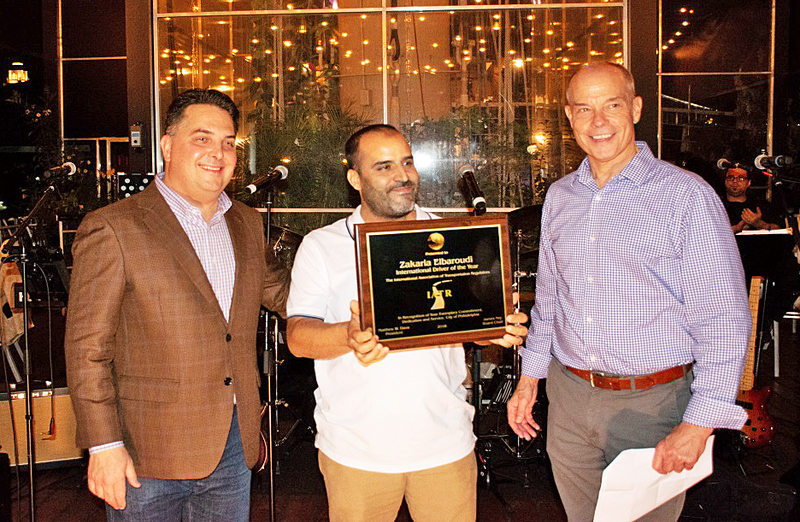 IATR’s Driver of the Year, Zakaria Elbaroudi, has been a certified taxicab driver in Philadelphia since January 2007. 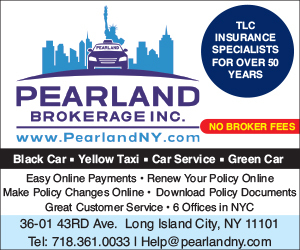 Zakaria has maintained a clean regulatory record for the last 11 years during which he has been a certified taxicab driver, and he has never had a complaint filed against him, among other exemplary conduct, including the return of valuable lost property to passengers. Sylvain Tousignant, this year’s IATR Regulator of the Year, is the Development Director of the Ville de Montreal (Bureau de Taxi). He oversees the revitalization of Montreal’s taxi industry, as well as its development strategies. Sylvain has been responsible for rebranding the Montreal taxis with a two-tone color scheme that say “Bonjour” to all Montreal clients, and has managed the creation of the Taxi Register – an open data platform that shows where all taxis are located in real-time – making data available to taxi companies and developers of mobile technology solutions. Finally, Gerard Martret, CEO and Founder of Shotl were named this year’s winner of the Accessible Data Challenge. Like a hackathon, the competition involved analyzing data over a period of time to help develop and present solutions that are technology-based initiatives, government policy recommendations, and/or service delivery improvements that can be implemented in the private and/or public sector, or through public/private partnerships. For three weeks, various teams of students and private company hackers had access to data sets from New York City, the District of Columbia, Chicago, Philadelphia, Calgary, and Abu Dhabi. Many thanks go to Professor Susan Shaheen and UC Berkeley for helping organize the data challenge, and for all the private sector companies, professors and students who were involved in the competition, especially NY Institute of Technology and Purdue University. A fantastic time was had by all at the “legendary” Moshulu, the world’s oldest and largest square-rigged sailing vessel still afloat and the only restaurant venue on a Tall Ship left in the world. The Moshulu was featured in the movie Rocky (shown during one of Rocky’s workout sessions along the Philadelphia waterfront), among other movie classics. Many regulators and sponsors, while attending the awards ceremonies, networked and enjoyed the city fireworks display on the water of the Delaware River. The Devon Marie Band provided entertainment. Also, this year marked another stellar performance by the “Rocking Regulators” – which included a reunion appearance with former IATR Board Chair and LA DOT regulator Tom Drischler, playing the keyboards, along with Matt Daus on lead guitar, NYC Taxi and Limousine Commissioner Nora Marino on vocals, and former NYC Mayor’s Office of People with Disabilities’ Commissioner Jason Mischel on bass. 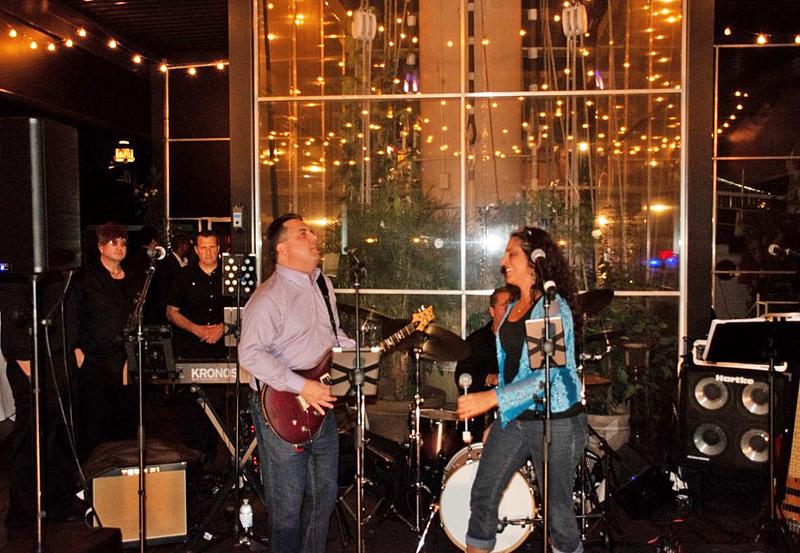 Matthew W. Daus, on lead guitar (Left), jams to classic rock tunes with new rocking regulator Nora Marino on vocals (Right), NYC Taxi & Limousine Commissioner. Round-Up Those Regulators for Calgary 2019! With a strong contingency of Canadian regulators from our dedicated committee, and with the selection of our first Canadian Regulator of the year ever, we are proud to announce that IATR is heading to Calgary, Alberta, Canada for its 32nd Annual Conference! Surrounded by the beauty of Alberta and the minds and hospitality of Canadian regulators alike, we will have an enriching experience that will highlight regulation north of the border (“The Great White Regulatory North”). Calgary is known for being one of the most “liveable” cities in North America, and the Mayor and our conference host, Abdul Rafih, are committed to showcasing their transportation system and city, while learning from others around the globe. The theme of the 2019 conference will be the “Regulatory Round-Up!” IATR would like to lasso and ride some new ideas, herd new regulators under one big policy tent and prevent disruptors from stampeding without accountability, safety, equity and accessibility being addressed. Sessions will include boot camp for regulators and select industry members or sponsors, a case study and hack-a-thon geared towards helping improve service and safety in the host city of Calgary, and lots of great networking and entertainment along the way – IATR style! Please join us at the Fairmont Palliser Hotel in Calgary from September 22-25, 2019. You can find more info regarding early membership renewal, registration and sponsorship at http://iatr.global/.